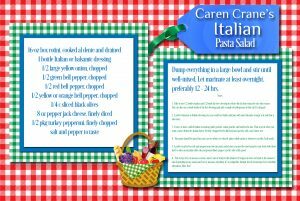 Caren Crane | Award Winning Women's Fiction » Welcome to Summer! Well, it feels like summer here in North Carolina, anyway. For lots of people, Memorial Day isn’t about remembering our fallen soldiers. It’s about a Monday off work, relaxing, getting together with friends and EATING! 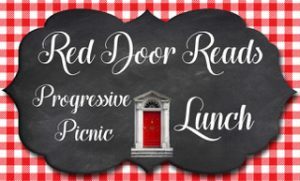 While we should remember the victims of war and those we lost in our many armed conflicts, the authors of Red Door Reads are posting recipes for you to whip up and enjoy as you party or ruminate. 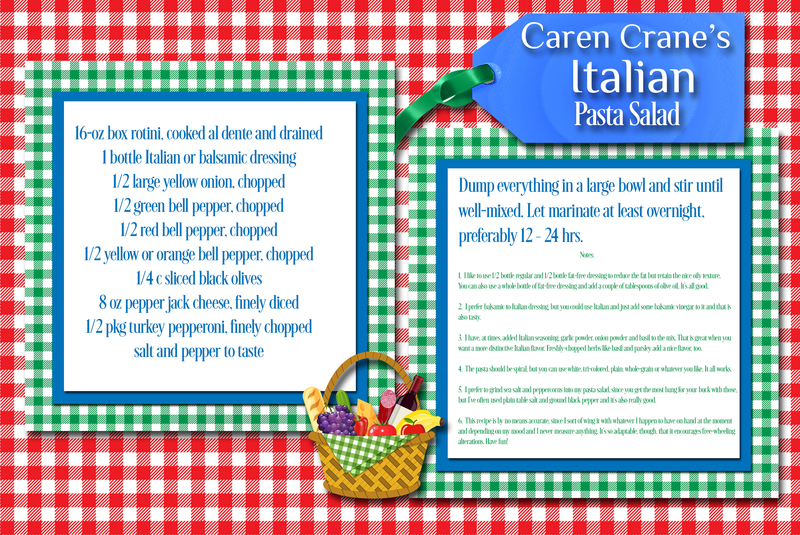 Here is my recipe for Italian Pasta Salad. I’ve made this many times and it always disappears in a hurry. I hope you love it! By the way, I’m finally finishing the last chapters of my fourth Cross Springs novel, Necessary Lies. It should be ready by the end of the summer. More to come!